YouTube came into existence on April 23, 2005 and now has a staggering 1.3 BILLION users. Five billion videos are viewed every day. I am telling you what you already know, YouTube is huge. 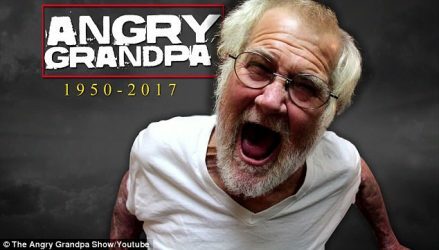 Angry Grandpa entered the YouTube world on June of 2010 and it was immediately obvious that he was fascinating and something special. He was a raging, spitting, seething, incoherently angry and unhinged redneck that was instantly intriguing. On this day he was mad at YouTube…and Google…and his storage shed and all its contents. This is a Tribute To Angry Grandpa: R.I.P. (1950-2017). YouTube channels have come and gone. Most of the huge heavy-hitters like EpicMealTime or Ray Johnson were immensely popular during their heyday, but inevitably succumbed to the to the perils of redundancy or the ravages of time. 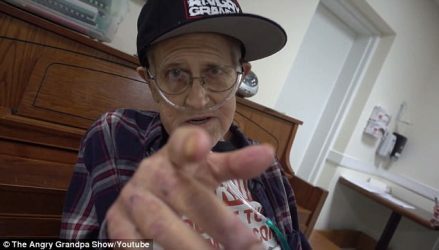 Even after Angry Grandpa was diagnosed with cancer and cirrhosis of the liver, his videos were still garnering over a million views. Some of the classics had as many as 14 MILLION views, a staggering achievement for a totally amateur channel. The mere fact that this man lived to be 67 years old is amazing. I mean, he died younger than I am now, but looked like he was 90 years old. He smoked, drank heavily and his body breakdown was like 5% head, 2% arms, 5% legs and the rest belly fat. 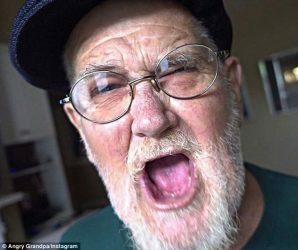 Considering his disposition, Angry Grandpa was an inevitable meeting of a train wreck and a time bomb. He had no teeth and no gentle disposition, either. He was Grandpa, and he was angry. The tribute to his passing was genuine. This was not just about the money, this was about a family, an internet phenomena, as wacky as it was. So what if Grandpa was exploited? They all knew what they were doing and they all had a blast. I will make one undeniable observation about Angry Grandpa. At the risk of bifurcation, he was either the most gullible human alive or the greatest actor that has ever lived. I will confidently go with the latter. Sometimes genius comes wrapped in unlikely packages, but the tandem of Angry Grandpa, and Pickleboy (his son, Michael, who orchestrated this mess) have broken the mold for unlikely comedy. I cannot stress enough how convincing the ineptitude and anger is in these videos. 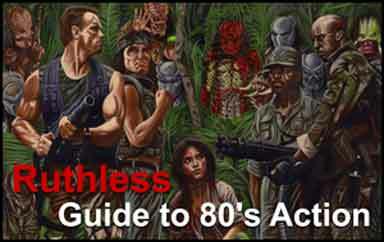 Each video carried its own life and they were never non-convincing or not hilarious. Reality TV should hang its head in shame and learn from the masters of outrage. There was not one moment that the viewers of these videos were not engaged. Thrown aside are the obvious questions of staging, it just doesn’t matter. Angry Grandpa was angry and yes, we must believe. A legend has passed. There can be no successor or replacement for this legend, this icon, this lovable old fart of a man. There are no exceptions, imitations for the Angry One.